Usher's Former Nanny Sues For Six Figures Over Wrongful Termination And Unpaid Overtime - kaycee Weezy! Usher's former nanny is suing the star for allegedly unfairly firing her and failing to pay her wages. Cecilia Duncan is said to be seeking a six figure payout after filing her lawsuit against the Yeah star. In her legal papers she claims the 34-year-old RnB favourite hired her as a part-time nanny back in December 2010. According to TMZ, she says she ended up going above and beyond to care for five-year-old Usher and Naviyd, four, with her work week allegedly often exceeding 40 hours per week. Cecilia believed she was being overworked and underpaid, and ended up expressing her concerns to Usher in 2011. Despite this she is claiming he ignored her complaints for more than a year, before finally firing her last September without paying her overtime money. The disgruntled former employee is claiming for wrongful termination, failure to pay wages, and more. Sources close to the lawsuit told the website the figure she wants is in the six-figure range. 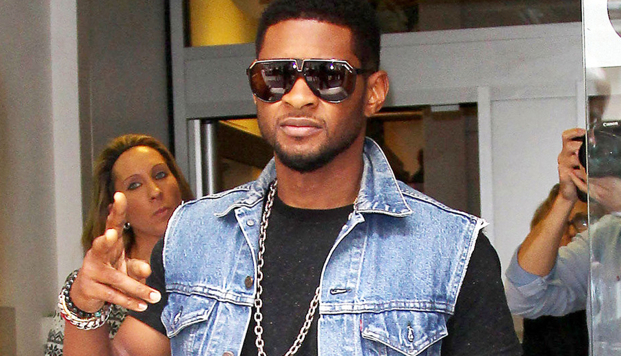 It is not the first time Usher has faced a legal battle because of his boys. He won custody from his ex-wife Tameka Raymond after a ruling by Georgia judge last August. It comes just weeks after Tameka's 11-year-old son Kile - from a previous relationship - tragically died following a freak jet ski accident. The former couple both gave evidence, with Tameka trying to prevent the singer from taking sole custody of their two young sons. It was a messy battle which saw Tameka accuse Usher of being an absent father - while he branded her a bad mother who was unable to bond with their children. Usher and Tameka previously had a co-parenting agreement in place. Is This The Cleverest Car In The World?